With the latest extreme heatwaves and storms, climate change is on every Australian’s mind. Whether you’re neck-deep in the science, political arguments, or just watching Q&A wondering what the hell everyone is bickering about, one thing you can’t deny is that the climate and green energy movement has brought forth fascinating and innovative Australian entrepreneurs. Below, we list the nine best clean-tech/renewables startups from across the Australia. Australia is known for it’s amazing beaches and surf, so it comes as no surprise that we’re also a leader in the world for renewable wave energy. 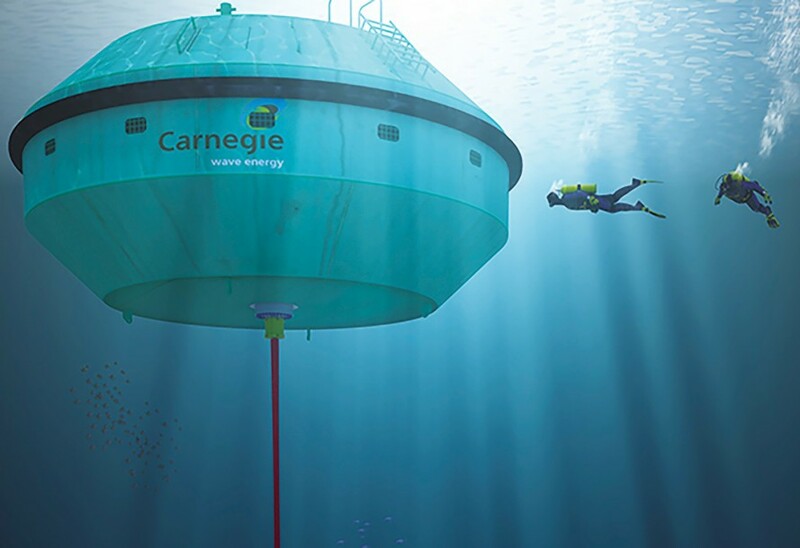 Carnegie Clean Energy’s CETO system is designed to be a low-impact energy generation device which harnesses the immense potential stored in the Earth’s oceans. Carnegie has been working on the project for over 10 years, and with the CETO-6 design finalised in December last year, they’ve seen impressive financial success including a joint venture deal with infrastructure giant Lendlease, and $5M in capital raise. Carnegie is certainly set to be riding a wave of success in the foreseeable future. One of the biggest challenges facing renewables is electrical storage for when the wind doesn’t blow or the sun doesn’t shine. Lithium-ion batteries are currently our best bet, but Nano-nouvelle is looking to push that even further with their Tin Nanode (TM). Using Nano-Nouvelle’s technology, lithium-ion batteries could have 50% longer lifetime without increasing their size. The new battery membrane tech is not limited to smartphones though, as Nano-Nouvelle envisions uses in electric cars and a variety of other devices. With $5.3M in private investment, the Sunshine Coast based company is gearing up to storm the market within 2 years – definitely one to keep an eye on! After the commotion caused by South Australian blackouts, attention has now been set on the slew of issues with our aged energy infrastructure. 1414 Degrees is aiming to address the issue of grid stability with its thermal energy storage system (TESS). TESS fills a dire hole in our current technological abilities concerning energy storage for grid; with greater capacity than lithium-ion but not as expensive as pumped hydro. 1414’s storage system can also be scaled easily between 10 – 200MW. With support from AusIndustry grants, 1414’s TESS is the perfect solution to the dire Australian grid difficulties. One of the awesome things about solar renewables is how suddenly anyone from anywhere can be “off the grid” by generating their own electricity. Becoming totally energy independent is difficult though, and often requires expensive solar & battery packs. Luckily All Grid has come up with an Aussie self-funded solar storage solution which even gives Tesla a run for their money. With several thousands in possible savings for a household per year (and calculations openly available on their website), suddenly solar is a no-brainer for any Aussie! If self-funded solar isn’t for you, Powershop is here as an alternative, renewable energy grid provider. With unprecedented customer control, Powershop lets you choose from highly customizable “power pack” deals, allowing you to plan your power spending in advance, instead of being walloped by unexpected power bills. With regular special saving deals and support for 100% renewable packs, Powershop is the energy provider for a modern Australian household. Even with the occasional blackout, we’ve got it incredibly lucky here in Australia compared to the daily energy crises that haunt today’s Indian slums – which harbours a population more than double that of Australia’s. Many have absolutely no access to power or even water mains, relying on dirty unfiltered water or toxic kerosene for cooking and lighting. Pollinate Energy is a social good enterprise, which provides innovative devices to fulfil crucial household needs including solar powered house lighting, high efficiency biofuel powered stoves and clean water filters. As a social business, Pollinate doesn’t operate as a charity, but rather empowers Indian slums by offering affordable and ethical payment plans which ultimately improve their quality of life. We’re certainly proud to have Pollinate Energy as an Australian-borne endeavour on our list. So what if you need a more heavy duty solar installation? GoZERO is a solar engineering firm which looks to accomodate for commercial, industrial and construction power needs. GoZERO uses two systems – GoPREDICT and GoPERFORM to figure out specifically what your energy requirements will be, and then ensure everything is running smoothly. Their customers range from sports clubs and supermarkets to carwashes and fitness centres. With solar panel prices dropping every year, now’s the time to jump on board. Without covering your roof in solar panels or getting a battery system, solar panels are only as efficient as their homeowners. But how do you know what time of day to use power-hungry appliances like dishwashers or washing machines? Solar Analytics has developed a Solar Smart Monitor which fits inside your powerbox to provide you with information on your energy system’s performance, and how you can improve it. It’s no joke either, you could save hundreds of dollars a year simply by monitoring your usage and making efficient use of your solar installation!